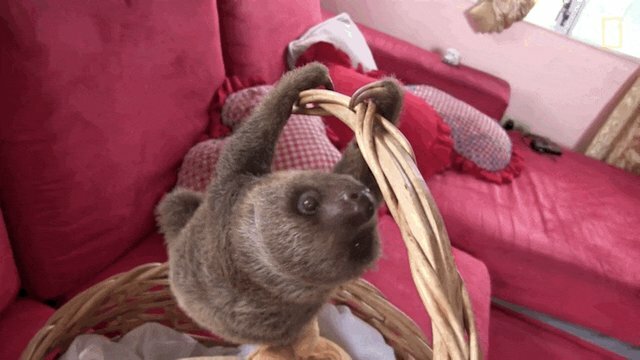 When you're a sloth, the human world is a whirlwind of speed and chaos. That's why so many sloths end up getting struck by traffic and trapped on the wrong side of the highway. 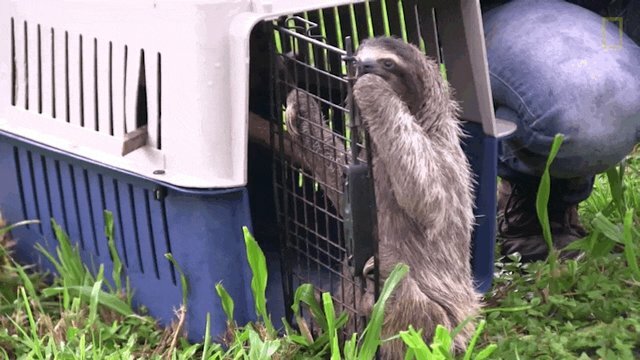 Luckily for the sloths of Panama, the rescue team at the Pan American Conservation Association (PACA) is there to help. 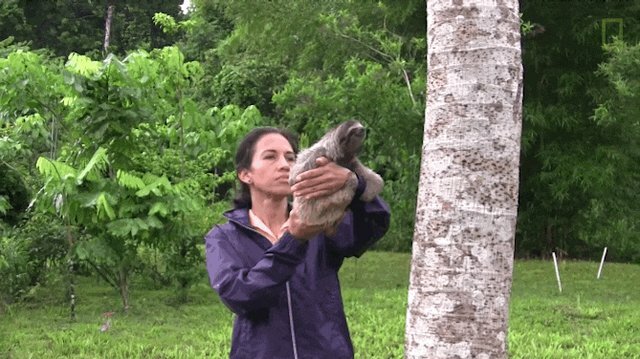 Along with other animals, the group rescues both orphan sloths and adults who have ventured too far into the human world and need to be relocated back into the wild. "Sloths are the number one rescue in our program," PACA director Néstor Correa told National Geographic in a video interview last year. "Mainly because they're very slow." 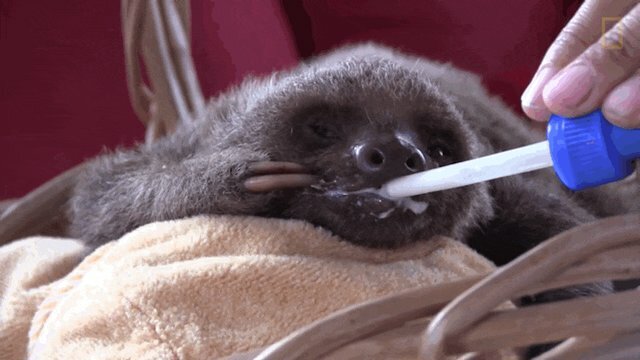 With feedings every few hours, caring for orphaned sloths is no 9-to-5 job, but Correa doesn't do it alone. 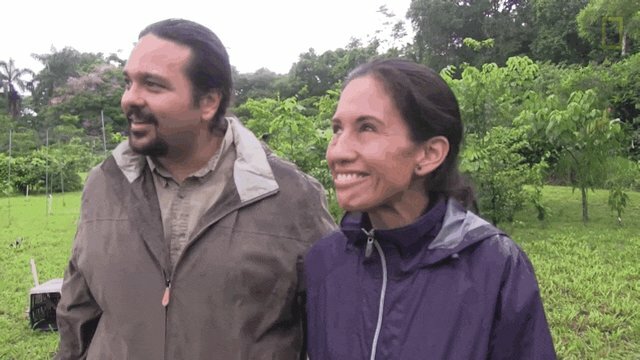 He and his wife, Yiscel Yángüez, run the center in Gamboa, Panama. "She has so much patience. She can wait and stay with them," Correa said of his wife in the video. "I think she's actually becoming a sloth." 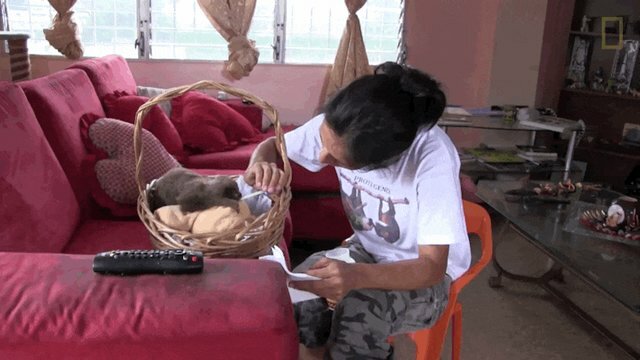 Together, they spend every day preparing orphan sloths for life in the wild, and eventually the day comes when the young sloths are ready to leave. The camera crew was around on the day that orphan Boki, whose mother was killed by a car when he was 2 months old, first returned to the wild. After weeks of bottle-feeding, Boki was growing restless at the center and even made several attempts to escape. That was a sign to Correa and Yángüez that it was time for him to go back to the wild. "This is a very sentimental moment for us, but we're happy, we're not sad," Correa said in the video about releasing Boki. "These are happy tears." After caring every day for him, Correa and Yángüez smiled as they knew that the once helpless sloth was now ready to live on his own in the wild where he belongs. Would you like to support Correa and Yángüez and the rest of the team at PACA? Click here to access the center's page and donate. Watch Boki play with an owl and an adult rescued sloth in the full video below.